Youtube is the 3rd most popular website in the world. Millions of people watch videos on Youtube. Lot of people upload their videos on youtube just like you and me. However, our channel also need a lot of subscribers or say followers just like Twitter to increase our video views on youtube. If we have a lot of subscriber then the video will get the initial views in thousands and will get attention to subscribers friends and more. Getting and increasing subscriber base is very important if you want to increase you traffic or want to make money from youtube. Subscribe and Get Subscribed - It's just like Twitter. Follow me and I will follow back to your youtube channel. Subscribe channels which are related to your youtube channel,there is always a possibility that the person will subscribe back. Start making Friends - This is another most important part. You need to make network on such popular websites. Start making friends a lot and your subscriber base will increase as people look their friends profile and follow interesting channels. Comment and Rating - Watch videos related to your channel and then give a useful comment and also rate the video. This way also people visit your channel and subscribe you back. Comments should always be useful and in relation to the video which you saw. Never post anything else because the admin of the video won't approve it. Use Youtube Promotional Service - This is the best idea to get your videos and your channel in open. This will increase the views as well as the subscriber base of your channel.Youtube promotional service will put your video as featured youtube video leading thousands of views on your video which will eventually increase your youtube followers. Remind People to Subscribe- Always include a message in your videos which says to subscribe to the channel so that next time people will get the notification that you uploaded a video on your channel.If people will like your videos, then on reminder they will certainly subscribe to your channel. Make Your Channel Look Professional - Just look out some famous youtube channels as how they are made. Youtube offers everything to change your channel. Just change the appearance of your youtube channels and you will see an increase in your subscriber list. Put the Channel on Your Website - Write about the channel and the videos on your website. It will increase the subscribers if your blog or website get's heavy traffic. 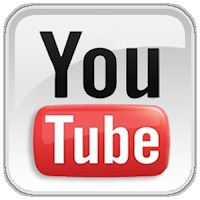 Try the write blogs of the videos you made and uploaded on your youtube channel. Embed your video in the blog post because by watching video, it will be much easy to understand things. Stay Connected - Always reply back to the comments. Visit the commentor channel and try to add useful comment on his videos. This way both people get benefit. These are few simple tips to increase the subscriber. Always upload which are funny, interesting and those which can create a hype or mystery like thing. These videos get popular faster. Hope it helps you to boost your subscriber on your channel.